Following a recent study that reported on entry-level job interviews in ninety seven different corporations in the United States, we put together a list of fifteen most common interview questions. We analyzed each question. We looked at it from the perspective of an employer, and a perspective of a job seeker. Short hint explains what the interviewers try to find out with the question, and how you should answer it. Sample answers follow the hint. Enjoy the list! Question nr. 1: Can you tell me something about yourself? Question nr. 2: Why did you apply for this job? Question nr. 3: Why did you leave your last job? / Why are you planning to leave your present job? Question nr. 4: Can you tell me something about your education? Question nr. 5: Can you tell us something about your working experience? Question nr. 6: Why should we hire you (and not someone else)? Question nr. 7: What are your strengths? Question nr. 8: What are your weaknesses? Question nr. 9: What are your goals in five years time? Question nr. 10: Tell us about your greatest achievement. Question nr. 11: What characterize a good boss/ colleague from your point of view? Question nr. 12: What motivates you in work? Question nr. 13: What are your salary expectations? Question nr. 14: When can you start? Question nr. 15: Do you have any questions? Hint: This is often the very first question. 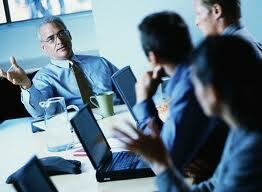 It helps the HR managers to get a basic idea of your communication skills, motivation, and interests. It is also an ice breaker, and a good answer will help you to feel more relaxed. The interviewers do not ask about your education, experience, personal life, or anything else in particular—you can choose the way to introduce yourself. However, your choice reflects what matters to you. In a job interview, you should talk about your education, working experience, career goals, skills and abilities. You should talk about things that are relevant for the employer. On the other hand, you can mention one or two hobbies, or tell them something from your personal life. This shows that you have a life outside of work. Check one sample answer below. Hint: Motivation is one of the deciding factors in every single job interview. Do you apply for a job just becasue you want to earn money, or graduated from the field? Do you apply only because you need a job, or do you really want to have this particular position? Your goal is to convince the employer that you genuinely want to work for them, and that you have a good reason for choosing their offer (and not an offer of one of their competitors). Pre-interview research should help you to find a good answer. You should learn something about the working environment, their vision and goals, the value they bring to their customers and business partners. I really like the job description and believe I can fit here, and bring some value to your team of financial analysts. On the top of that, I have the right education for this position, and I would enjoy working in an international environment. Your store is just ten minute away from my apartment, and I shop here regularly. I like the way you approach customers, and I would be proud do be a member of your team. On the top of that, I like the vision of your company, the way this store is organized, and overall I have a good feeling about the place. Note: For a complete guide on how to ace your interview, including brilliant answers to thirty most common interview questions (difficult behavioral questions included), check our Interview Success Package. Hint: Changing a job, or even a career, is not anything special. Nevertheless, employers want to understand why you plan to make a change, or were forced to make one. They try to understand whether they can count with you in a long run, and how it will feel to work with you. Do you look for good things, or for bad things in job? Do you demand a lot from your colleagues, or do you demand a lot from yourself? Regardless of your past experience, you should focus on good things. Even if they fired you in your last job (for no real reason), try to speak nicely about your former colleagues and employers. I had my job in a restaurant for four years. I enjoyed the company of my colleagues, and believe that I helped the guests to enjoy the place. But I needed a change. The duties were repetitive, and I felt I was not moving forward anymore. That’s why I left, and decided to apply for your offer, as I really see a potential for learning and growing in your company. They fired me because I had a different opinion than the director of the company. Nothing wrong with him—we just had a different philosophy of leadership, and how things should be done. Maybe he was right, maybe I was—only time will tell. But I do not want to live in the past. Now I am here, looking for a new challenge, and an opportunity to help your company to prosper. Hint: A degree has never made a good employee of anyone. Nonetheless, HR managers will often inquire about your education, trying to understand your attitude to learning. You should focus on the practical skills and abilities that will help you in your new job. These matter more than the names of degrees and educational institutions–unless you graduated from Harvard or Cambridge, obviously :). I have studied at ABC University. I acquired knowledge of statistics, project management and accounting, beside many other subjects. I took part in projects and competitions we had at school. I believe that my education and internship that followed prepared me perfectly for a job in your company. Hint: Employers can read about your experience on your resume. Nevertheless, they want to hear what matters to you, and they want to see your attitude to work. You should pick one or two roles that are most relevant for your current job application, and then you should speak about your duties, achievements, and lessons you learned while having them. If you had just one job in the past, and it was completely irrelevant to the one you try to get, you can at least say that the experience helped you to gain basic working habits, and simply to prepare for an employment in general. I have worked only at Walmart so far. But I learned a lot there, how to approach the customers, how to work with other people. It is not such as easy job as it seems, since the workload is heavy most days. But I do not complain, just I hope to get a better job now, and learn something new again. As you can see on my resume, this is my first job application. But I have done some volunteering for Red Cross, and I worked a lot with my father while we were renovating the house. I believe that I know what it means to have a job, and I am eager to finally start working somewhere, after many years of studying, and preparing for employment. Hint: If someone hires you for a job, they will pay you a monthly salary, and they will also pay money to the government–just for having you onboard. Will you become a great investment, an asset for their team, or will they just lose money hiring you? HR managers try to find the answer. This is arguably one of the most difficult questions. You should focus on something unique, a value you can bring to their team. Sample answers should give you some inspiration. And when you can not find anything special, you can at least list relevant skills and abilities that make from you a great candidate for the job. I am young, eager to learn, and motivated to work hard. I have passion for numbers, and I would really enjoy having this job. Of course I haven’t met the other applicants for the job, and it is hard to tell whether I am the best one. Hint: Professional interviewers should identify your strengths—without inquiring about them. They get their salary for this capacity. Nevertheless, you can meet a variety of bodies in your interview. Sometimes the person leading the meeting can have little or no experience with interviewing people for the job (think owners of small business, or HR generalists who are just starting their career). In this case, the question makes at least some sense. You should pick relevant strengths. If possible, you should elaborate on your answer, saying how you demonstrated your strengths in your career, how they helped you in the jobs you had (if you had any jobs before). I love to talk to people, and I believe I do understand them well—what they need and desire in their lives. My empathy helped me in my volunteering experience in a nursing home, and I hope to use this strength in my career as a social worker. Responsibility is my greatest strength. I consider my job the first priority, and it has never happened to me that I came late to work, or that I did not finalize my tasks in time. Hint: I will repeat myself. Professional interviewers should identify your core weaknesses after talking to you for five minutes, or even for less. At least I can do that :). But anyone can lead an interview with you, and good interviewers often also use this question, trying to see what you think about yourself. Can you admit having a weakness? Are you humble, or over-confident? Those who believe to have no weaknesses can hardly move forward in life, since they do not see any areas for improvement. This is not a picture you want to present in an interview. Show us your weaknesses, and tell us how you work to improve on them. I am not very patient. That’s obviously bad. But I am working on it, trying to control myself, staying tolerant to my colleagues. It is not easy, but I have definitely made some progress in recent years. Sometimes I struggle to focus on my duties. However, I practice every day, trying to eliminate useless thoughts, and my concentration has improved over the years. I still continue working on it though, trying to eliminate distractions in work. Hint: Every responsible person has some goals. When recruiters ask you about your goals and dreams, first of all they want to hear that you have some goals. Secondly, your goals should somehow relate to their business, or at least they should not interfere with their goals and dreams. Goals do change, and nobody can blame you for changing your mind after working in a company for a few months (or even only for a few weeks). Once in an interview, however, you should say things that will help you to get the job. I would like to have a managerial role in five years time. However, I understand that I need to learn a lot before it can happen, and I believe that this entry-level position in your company is a perfect starting point for my career. I do not dream much about the future. If I have a teaching job, and if I do it well and get a good feedback form my students, it will make me happy in my life. That’s likely my only goal—to be happy, and to do my best in both professional and personal life. Hint: Employers try to find out if you have just “gone to the job” (or to the school), or if you actually tried to achieve something while doing your routine. Whenever possible, you should speak about your achievements from the perspective of an employer (helping them to find new customers, helping them to improve their reputation, building good atmosphere on the workplace, earning more money, etc), rather than achievements from your own perspective (getting promoted, earning a degree or certification, etc). If you have no other option, however, you can talk about personal promotion, employee of the month award, or other recognition of your good work for the employer. If you apply for your first job, however, you can speak about achievements from your personal life. For example, a chain smoker who managed to quit smoking recently shows their strong determination and will. When I worked in sales at ABC Inc., our sales volume grew by twenty percent or more each year. It was a team work, and we helped their business a lot. I have become a better person over the years. I learned to listen to others, and to see the good things in people, which is something I had struggled to do early in life. I consider this my biggest achievement, since it made my life better, and I hope people enjoy my company more. Hint: You won’t work alone. Employees interact with each other, and the interviewers try to find out if you can fit into the team. You should avoid going for something personal in your answer, for example saying that you prefer young colleagues, or that you work better under a boss who is older than you. Such an answer could easily backfire—if a boss was a young man, they would not hire you. I advise you to mention something general, and to emphasize that you can get along with anyone. Ideal boss doesn’t exist, and it doesn’t even matter to me. I want to focus on my job, and on my duties, and I try to avoid any conflicts with other employees. Everyone is different, and I respect the individuality of each person. But I do not try to think much about my colleagues, what they should do better, how they should act in their job. I simply prefer to focus on my own duties, and good attitude to other people. That is the only thing I can control. I can get along with anyone, and I do not have special preferences. The most important thing is to see that my colleagues try their best in work, day in day out. But whether they are old or young, whether they like dancing or watching movies doesn’t make any difference to me. Hint: Interviewers try to find out whether you work only for money, or are driven by something else, a meaningful purpose you see in your job, or at least your desire to make someone else happy. Your motivation is actually tested during the entire interview, and you should demonstrate it with the enthusiasm for the job offer, for your future, and for the world in general. Answering this particular question, however, you should speak openly about your motivation, something that drives you forward. It can be a desire to help people (great choice for a nurse, a social worker, a teacher), and it can be a desire to support your own family, simply a goal to live well. One way or another, a good answer should always exceeds your own personal needs and desires. Meaningful purpose of this job motivates me. I would be proud to teach young children, as I believe I can become a good role model for them. And I do not want to be a bad role model, so you can be sure I’d try my best in each class. Note: Still here? Great :)! You have already read answers to twelve interview questions, and I can see that you really do your best to prepare for your interview. Once you finish reading the remaining answers, however, do not forget to have a look at our Interview Success Package, the one and only guide you need to overcome all challenges in your interview. Hint: If they start talking about salary it is mostly a good sign. It means that they consider hiring you (unless they just blindly follow an interview template, and ask every job candidate exactly the same questions). Anyway, you should say that your salary is not a deciding factor, and that you didn’t apply having a number on your mind. If they insist on hearing a number, however, you should have something to backup your claim (the statistics about an average salary for the position, the sum of money you earned in your last job, etc.). Let’s have a look at some answers. I like the job description, I like your bank, and I would be happy to have this job. But as far as my knowledge goes, average salary for a teller in your institution starts at $29,000. I would accept that number for the start. This is my first job application, and I am motivated to learn. I understand it is an entry level position, so the salary offer won’t be great. At the same time, however, the possibilities of promotion are almost endless, so I would accept your standard salary offer for the newcomers. Hint: Most employers prefer to see their new hires on board as soon as possible. If you can start immediately, say it, and stress that you are not waiting for any other interviews. And if you can not start immediately (bearing in mind notice period requirements, or other reasons), explain it clearly. You can even turn this answer to your advantage. You can show you right attitude to work, saying that it would be irresponsible to leave your current employer without finishing the work you have started. I am eager to start as soon as possible. I have applied also for two other job offers, but this one is my first choice. If you need me tomorrow, I can be here in the morning. I could possibly start tomorrow, but I want to finish the project I currently work on with my employer. It would be unprofessional aif I just left. I need two or three weeks at least to finish it, and then I can start working here. But I am ready to sign the contract today, and you can be sure that I won’t change my mind about your offer. Hint: You will get a chance to ask some questions in your interview. It is good to ask one or two questions at least, since it shows that you still want the job, after everything that has been said and done in your interview. But you should not ask about something that was already discussed, or about something that was clearly explained on the job description. Focus on their working environment, next steps of recruitment process, company culture, their goals and plans, their product portfolio. What are the next steps of recruitment process? Is there anything else I can do to improve my chances of getting this job? I really like your product ABC. Can you tell me more about the plans you have with the product, and the innovation you plan in the future? Do you set any goals for sales managers, such as monthly sales volume? So you made it to the end. Wonderful! But you should know that after passing the first, screening part of interview process (phone interview, online interview, group interview, or simply the first interview with the employer), you will often have to deal with behavioral questions (second interview, final interview). You will have to handle them to get the job. Describe a situation when you did not agree with an opinion (or decision) of your superior or supervisor, and knew that they were wrong. Describe a time when you struggled with motivation in job (it was repetitive, you did not enjoy it anymore, there was no work to do, etc). How did you overcome the crisis of motivation? Describe a time when you struggled to communicate something to your boss, colleague, or customer. How did you manage to get your message over? Describe a time when you struggled to build a relationship with someone important. 1.st: eBook, Brilliant Answers to Fifteen Most Common Screening Interview Questions (multiple brilliant answers to all questions from our list). 3rd: Audio recording (mp3) I Will Get a Job (winning interview strategies and advice on how to make a best possible impression in an interview). Thank you, the entire team at Interview Penguin wishes you good luck!